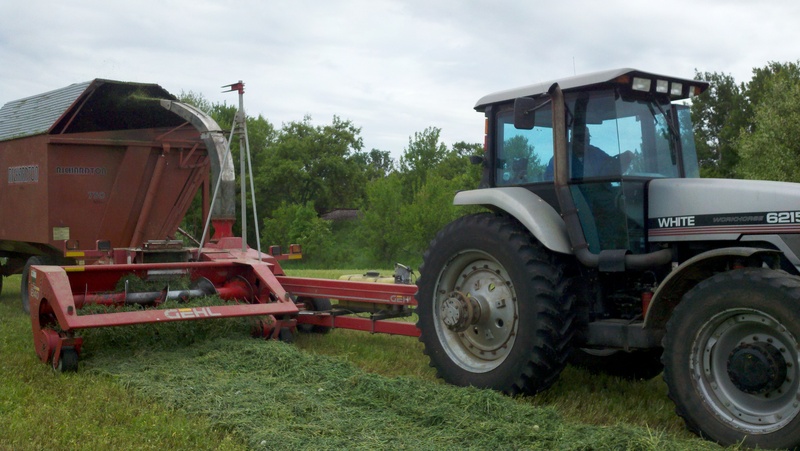 Now that we have been done with 2nd crop for better than a week, I guess I should finish up my post about making first crop hay! 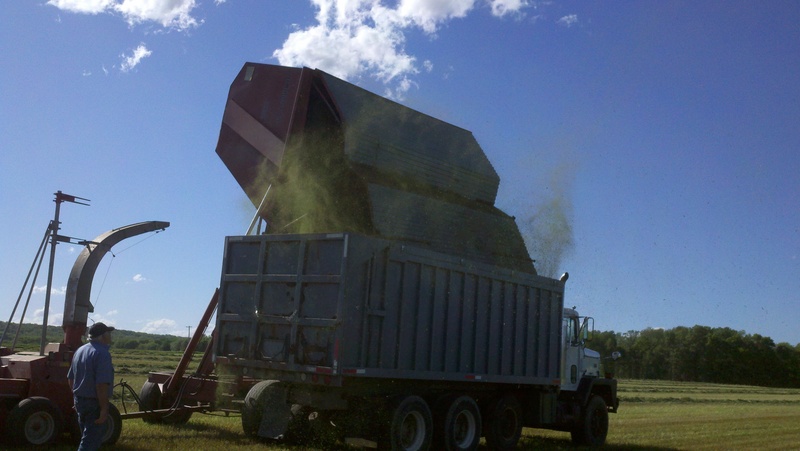 Once the dump box being pulled behind the chopper is full, a truck backs alongside the box, and the entire thing lifts and dumps into the truck. 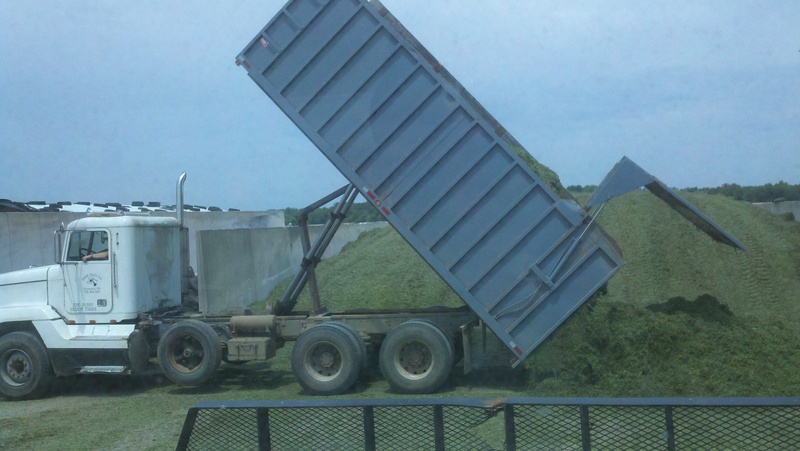 The trucks haul the haylage back to the farm and dump it into a bunker silo. A bunker silo is just 3 concrete walls with a cement floor. We start out backing the trucks into the bunker, but as it gets full we have to dump across the front of the bunker like in the 2nd picture. 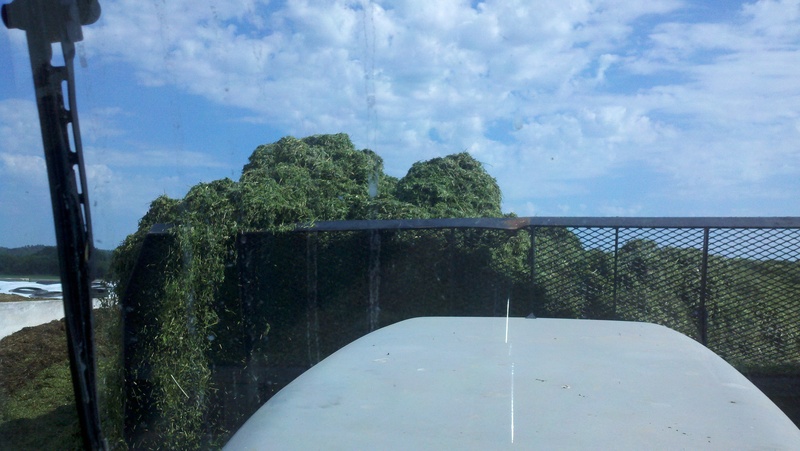 If we are close to the farm, we can haul with one truck, but a fair amount of our ground is far enough away that it requires two trucks to keep up. 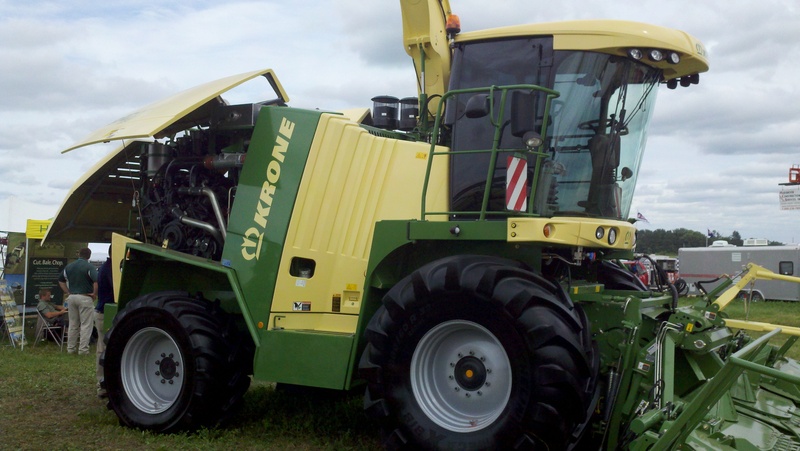 And we have a pull type chopper! The self-propelled choppers (see the last picture in the post) are much much faster. 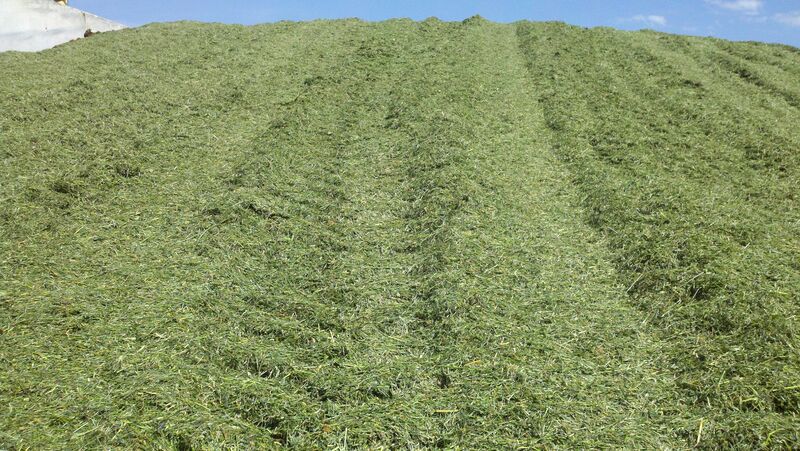 Once the silage is dumped in the bunker, we use a tractor with a blade to push the silage up the pile. 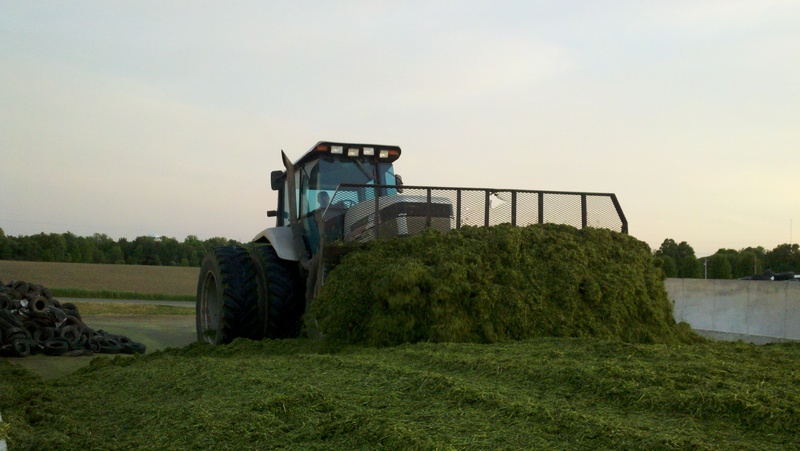 Then the tractor drives back and forth over the pile to pack the silage as much as possible. 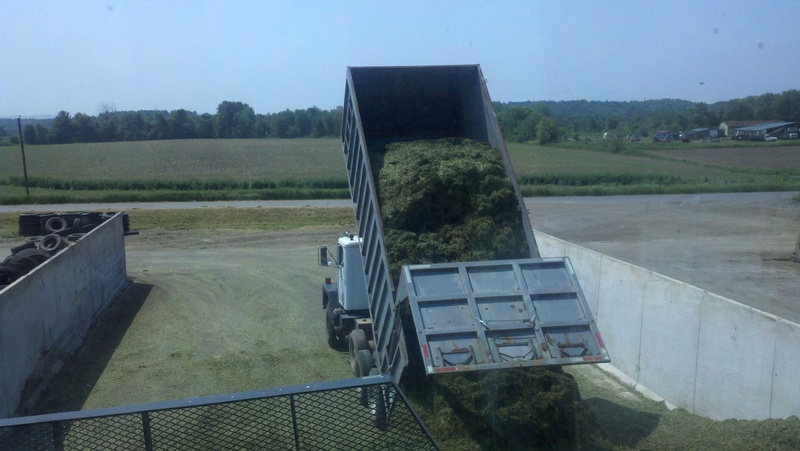 Packing and removing as much air as possible from the pile is one of the most important parts in making silage and preventing spoilage. “Pushy” gets her name from pushing silage. Once we finish, we cover the pile with plastic and old tires to hold the plastic in place. Covering bunkers is a job no one loves. 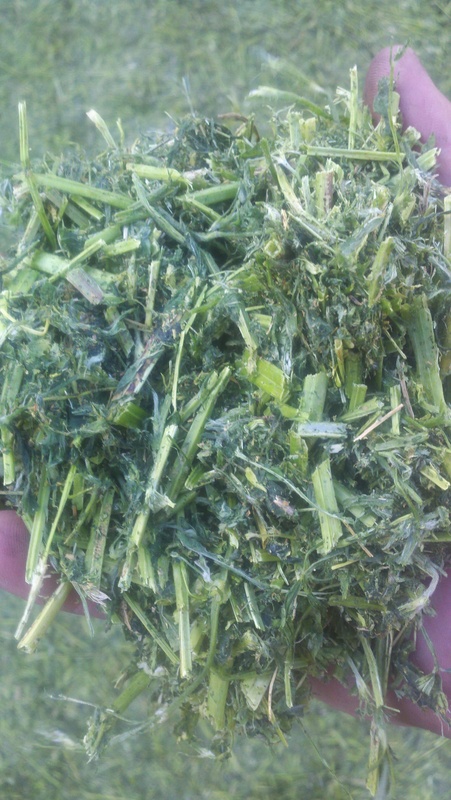 The silage is then allowed to go through a fermentation process, and finally fed to the cows. 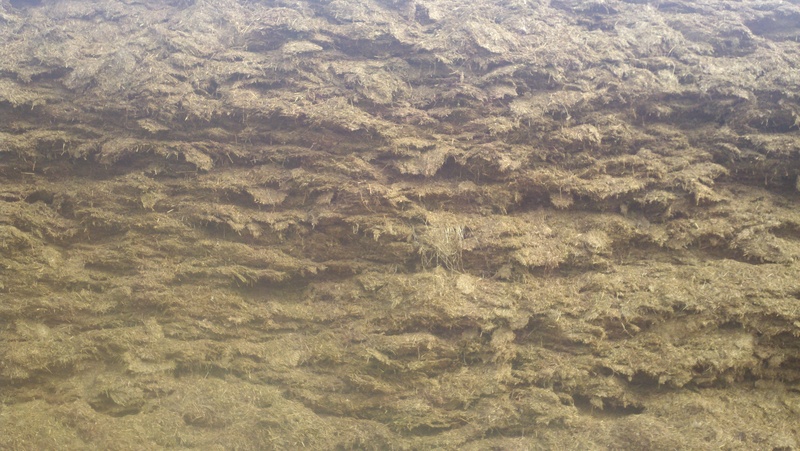 When we feed it to the cows the fermentation process has turned the silage a brown color. 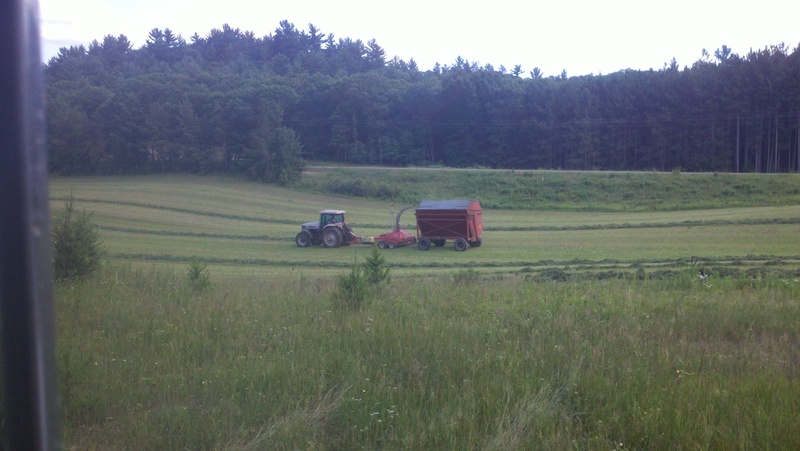 We have about 320 acres of hay this year. We will cut and chop it all of it 4 times throughout the summer. If all goes well with the weather and we have no major break downs, it takes about a week from cutting to covering the bunker for each crop.